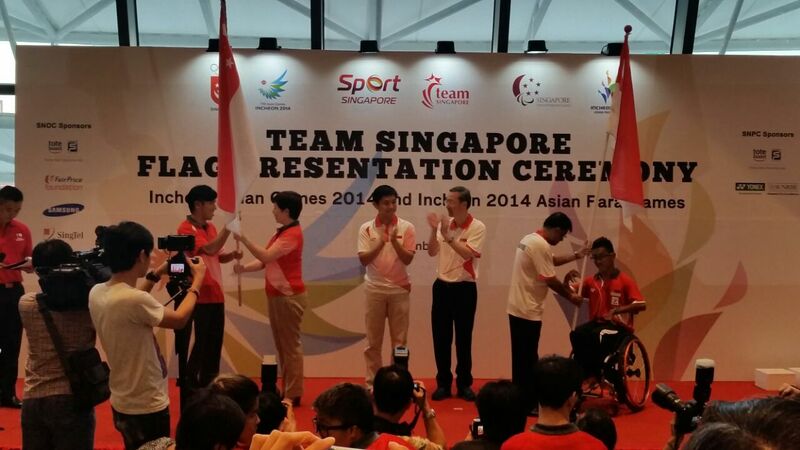 This was the Asian Games 2014 Flag Presentation held yesterday, with sprinter Gary Yeo appointed the flag bearer. The competition is to be held 19 Sep to 4 Oct 2014 (Athletics program spans 28 Sep to 4 Oct) at Incheon, South Korea. This is the list of finalized Team Singapore athletics. 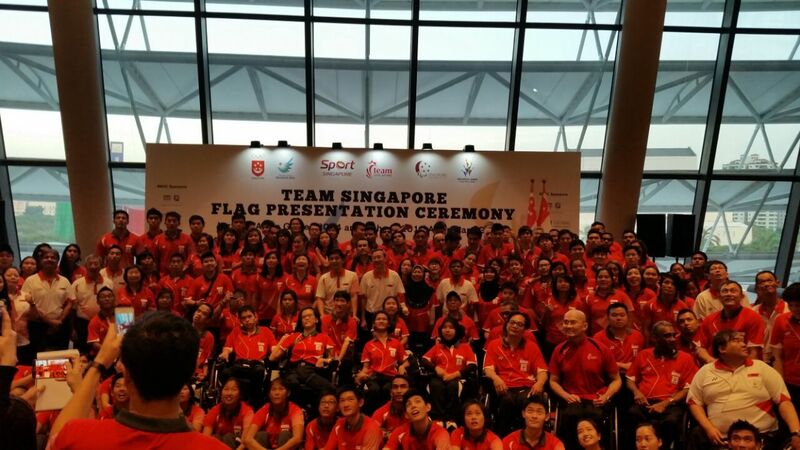 One of the proudest moment in my life to be chosen as flag bearer for Team Singapore at the Asian Games. Would like to dedicate this moment to my coach, Mr Melvin Tan, SAA and SNOC for giving me this chance. Deeply grateful for this chance to fulfill my dream.